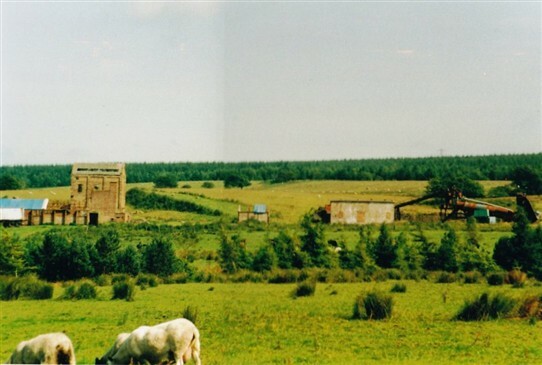 Woodmuir Colliery at the village of Breich was nicknamed the Blinky, after Blinkbonny, a nearby mining hamlet that housed some of its miners. It opened in 1896, and was taken over by the major coal company, United Collieries, in 1902. Later it was operated together with Loganlea and Foulshiels Collieries. It closed in 1963. This page was added by Margaret Collins on 28/03/2012. Very nice photograph - is that the pit you can still see at Breich village? Yes that is the Pit you can see from Breich village. My GG grandfather was killed by falling down a shaft at Woodmuir pit. This was in 1879. Would this be the same place. They lived at Blinkbonny.